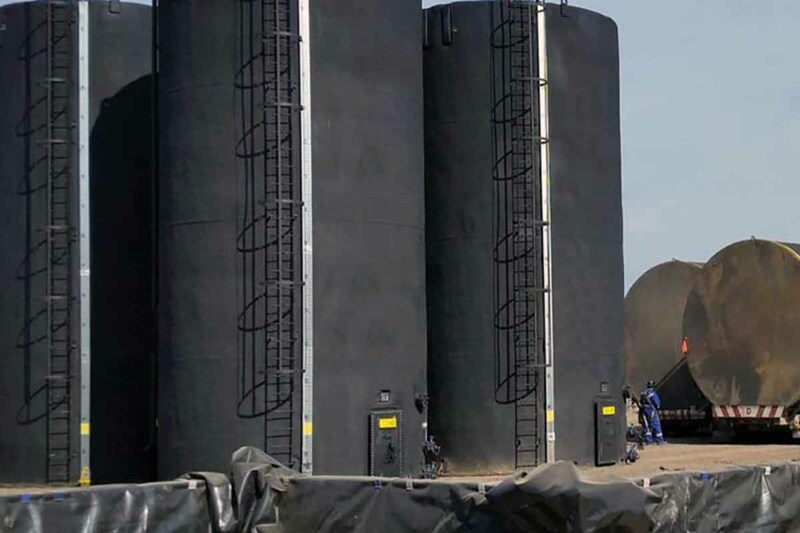 Vertex offers clients fluid storage and secondary containment services that exceed current industry regulations and practices in Western Canada. 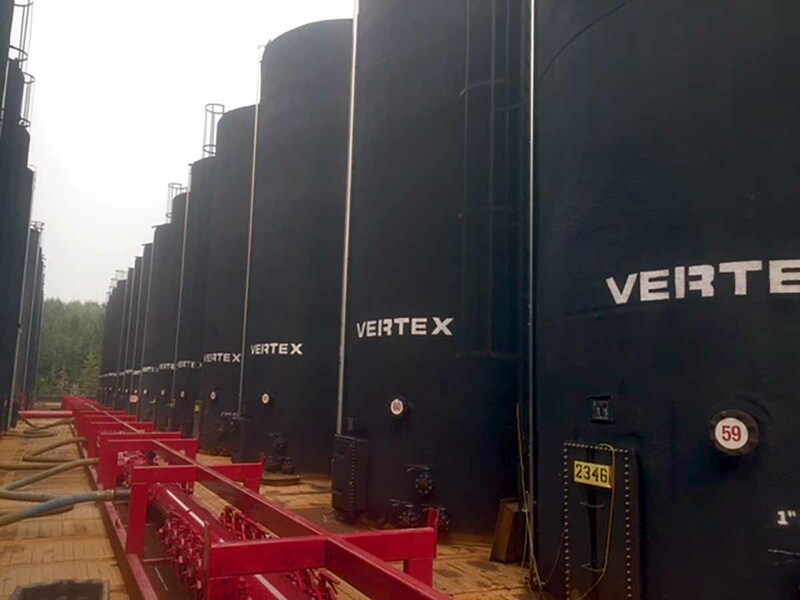 With our unique 1000 Barrel (BBL) Insulated Frac Tanks, Vertex provides clients with an efficient solution to their large volume fluid storage needs. 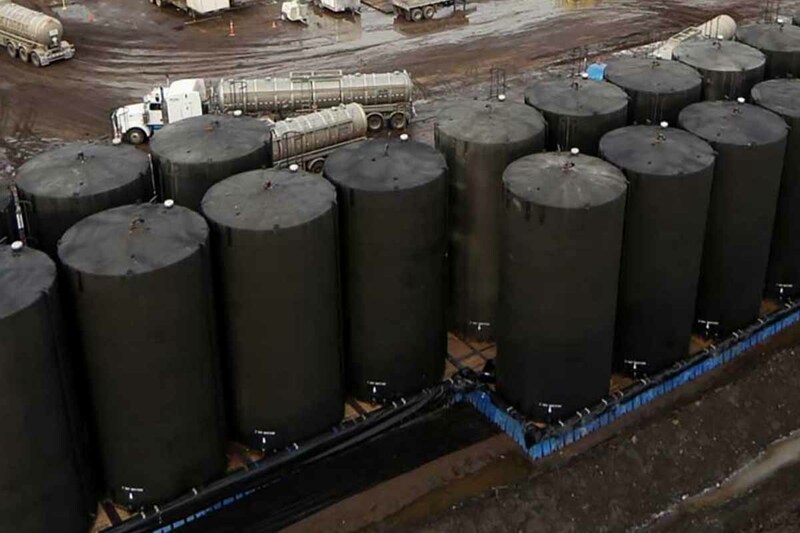 Utilizing a fleet of tank cradle trailers and pilot vehicles, our tanks are set up safer and faster and occupy up to 70% less lease space than other traditional fluid storage techniques. Fully enclosed, our fluid storage solutions provide clients with additional environmental safety and regulatory security, and provide clients with the opportunity to reduce heating costs by up to 75% with insulated tanks. 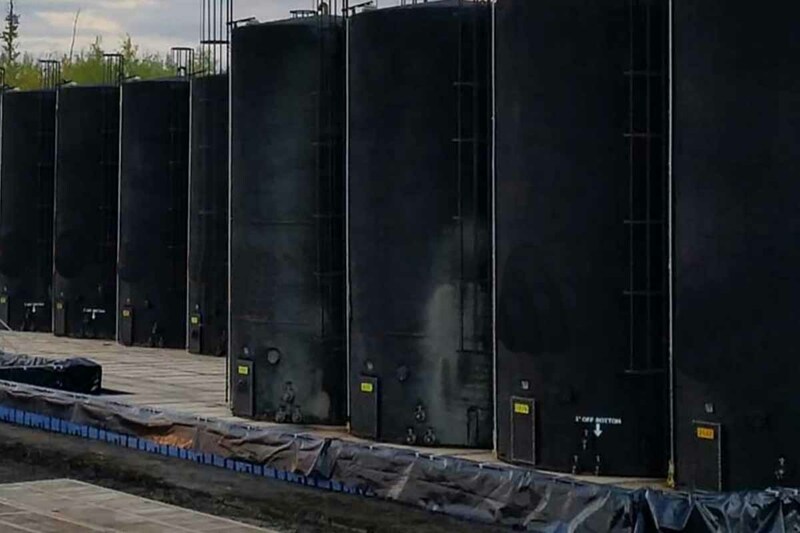 Set up by our experienced crews, these tanks require less additional lease preparation and are easily placed on our rig mats.